Escorted by Shirley Kamanah, the Superintendent of the Rehabilitation Youth Centre in Beau Bassin, Rose Hill, Mauritius; the visit of distinguished guests was brief but most worthwhile, one that caused great excitement for the eight local teenage inmates. The visitors were Steve Dainton, ITTF Chief Executive Officer and Leandro Olvech, ITTF Foundation Director, alongside Cédric Rouleau, the Technical Director of the Mauritius Table Tennis Association and Sarah Hanffou, the President and Founder of Ping sans Frontières. They were present to popularize table tennis and use the sport to teach values. It was an initiative that delighted Shirley Kamanah. Furthermore, Shirley Kamanah is clear in her beliefs that sport influences discipline, vital to learning life skills. Positive word from Shirley Kamanah; likewise, both Steve Dainton and Leandro Olvech were in accord. 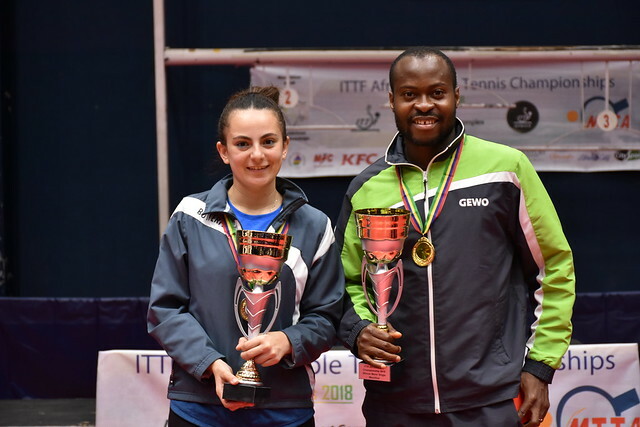 They supported the view that the Centre was playing a vital role in moulding the characters of young people and was putting into practice a goal of the International Table Tennis Federation, to provide a meaningful activity for young people and divert attention from social vices. Meanwhile, for Sarah Hanffou, working alongside Cédric Rouleau; the visit was very much a starting point. Give young people a meaningful activity; you give young people a chance of a better life, it is that simple. In Mauritius theory is being put into practice.